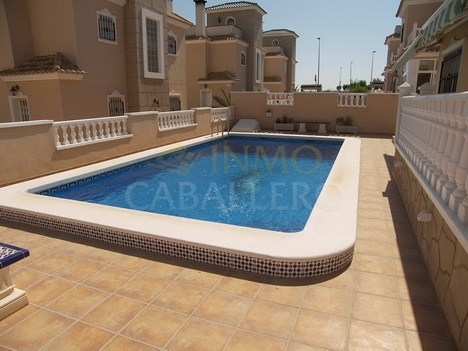 A well-presented 3 bedroom detached villa with private pool. 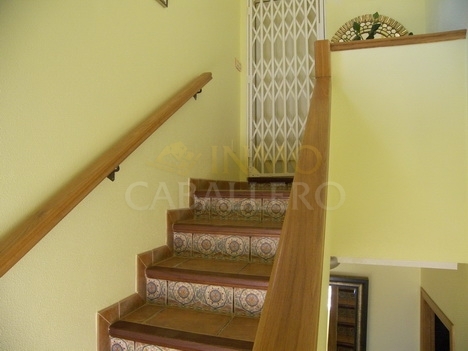 The property consists downstairs of: A good sized lounge with fitted log burner, dining área, good sized fully kitchen kitchen with separate laundry room, enclosed terrace and one bathroom. Stairs lead up to the first floor, here are the 2 double bedrooms with building wardrobes, the family bathroom and the master bedroom with en-suite bathroom. From this floor are stairs to the solarium. 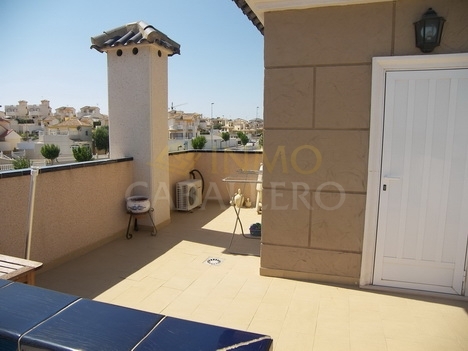 The house have air-conditioning, electric heating and is sold furnished. To the exterior is off street parking for cars, a easy manintenece garden, storerooms and to the rear is the private pool.